Our 4,700 sq. foot, 7 bedroom, 4 bathroom residence sits on over an acre and is located 11 miles (less then 15 minutes) north of downtown and 14 miles (15 minutes) south of Purgatory Ski area. This best-of-both worlds location offers privacy but with excellent proximity to the area’s premier amenities, and spectacular views of the Animas valley, and the red cliffs that are so iconic to the reasons many are drawn to this valley. Dalton Ranch and Trimble Hot Springs are less then 4 miles from the residence, and there are close by restaurants, two nearby golf courses, and one of the areas best grocery stores. The residence is perfect for multiple families and features plenty of outdoor living space, hot tub and 2 kitchens and separate living spaces on three different levels (there are even 2 sets of washer/dryers). As the house sits on over an acre, deer and other wildlife are often seen on the property which includes an orchard with numerous fruit trees. The house backs up to National Forest Land and there is a fantastic hike right out the back door. Additionally, the historic Durango & Silverton Train runs adjacent to the property. A joy at every level. While a little dated, what a great place to enjoy with a group of good friends. Pleny of space for private moments or gathering for a meal. The views from the decks are amazing and waving to the train from the back patio pretty fun as the passengers wave back. The kitchen is well equiped and stocked allowing for great dining on site. The only negative, two stuffed garbage cans and forty bags of garbage left for us to deal with In the garage. Pretty disappointing when paying a $400 cleaning fee and forced to do the dirty work. Oh, no offer to refund a portion of the cleaning fee either. Thank you for taking the time to provide feedback on your recent stay with Premier Vacation Rentals Group. We are glad to hear that you enjoyed several components of your stay including the well-stocked kitchen and dining area, the views from the deck, and the interaction with the train passengers -- what a wonderful experience! Relative to the garbage in the garage, with a home this size that caters to larger groups such as yours, garbage adds up quickly. We recognize that this can be a challenge at times and as a result, we collected the excess trash from the detached garage two days before you arrived and removed 9 bags of additional trash after your departure. Although there may have been additional trash in the garbage containers in the garage upon your arrival, forty bags appears to be an exaggeration of the actual number. It's important to add context to the situation for future guests given that the garage is detached and is primarily used for storage rather than parking cars. We do ask guests to assist with taking the garbage containers to the curb on the collection day if they're staying with us on the collection day. That said, we're sorry to hear you felt taking the garbage container to the curb on the collection day, was "dirty work". Most guests are happy to assist with this request and don't find the request to be overly onerous given. We always remove excess trash and encourage guests to contact us during their stay if needed in order to allow us to effectively manage the garbage and avoid excess accumulation. It was a pleasure to host you. 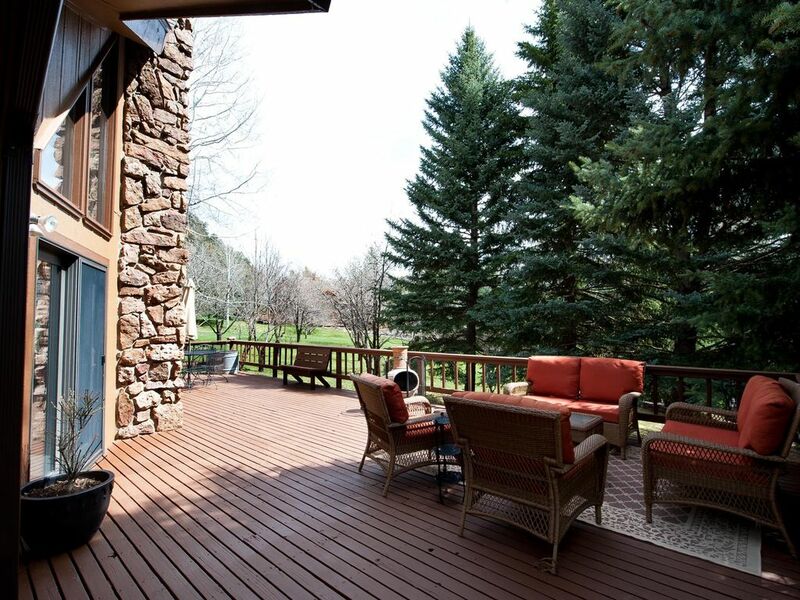 We hope you choose Durango Premier Vacation Rentals again for your next visit! Our group of 14 stayed here and it was a great experience! The house had plenty of space for us all and enough hot water for everyone's showers! Mary Beth was quick to respond to me when we had an issue with not having enough towels and washcloths for everyone in the house. The only recommendation I would make is it needs new pots and pans. The ones there were quite used and could use replacements. Also, the house does not have A/C but that was not an issue after leaving the windows open during the day. It was warm when we first arrived due to being all closed up. Sure hope the forest fire that started after we left did not affect this home because we would definitely stay here again if back in the Durango area. Hi Michele! You were all lovely guests and we are happy we got to host you! We appreciate the feedback on this home. Thank you for choosing Durango Premier Vacation Rentals and we hope to see you for your next visit! Very large, clean home with everything in good, working condition. Conveniently located midway between Durango and Purgatory Resort. Thank you for staying with us! We hope you choose Premier Vacation Rentals the next time you are looking for a vacation rental. We had a wonderful vacation in the home. Just right size for my family of 11. Beautiful location and not far from town or resorts. Nice yard for the kids to play. Went to Purgatory Resort, Bar D Ranch and Durango-Silverton Railroad. Highly recommend this property.